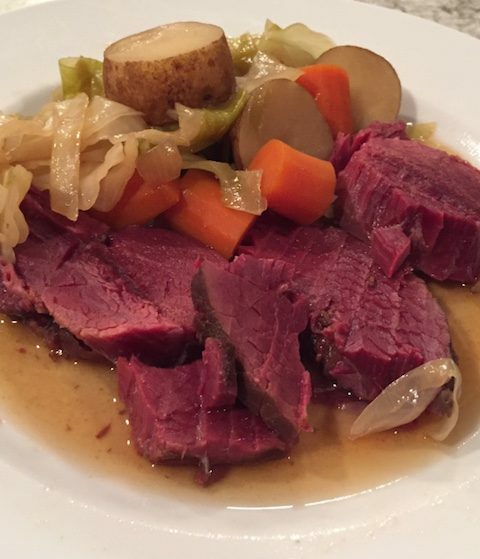 There’s always leftover corned beef. And breakfast is the most important meal of the day.. I know what your thinking: Is he REALLY going to tell us how to fry some potatoes and meat? Umm, well yes. Yes I am! 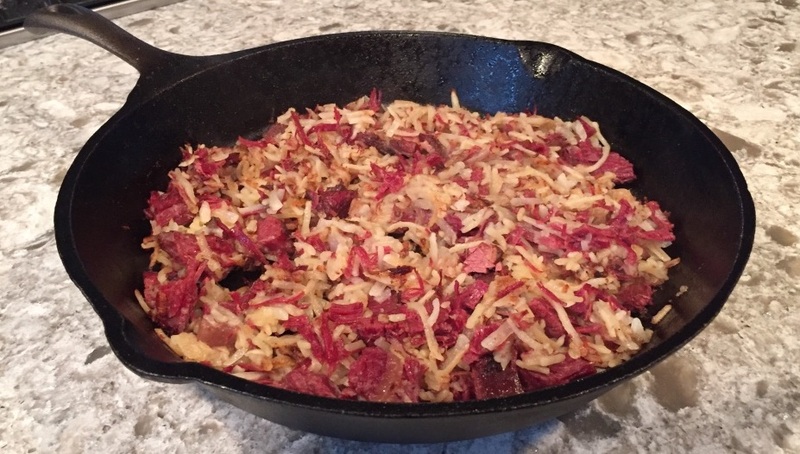 Actually, this is more about sharing what can go wrong when making corned beef hash from corned venison. But of course I’ll be sharing an easy recipe too! I’ve talked before about the leanness of venison. It makes it an excellent choice for your protein, but it also makes it very unforgiving to the chef. The best way I’ve found to cook my corned venison is to braise it, like I did here. Boiling it takes out too much of what little fat the deer had. I’ve found the crockpot can do the same unless your low setting is truly low enough. Granted, some of the issue may have been due to the chef, but either way, I’m hoping you’ll learn from my mistakes. 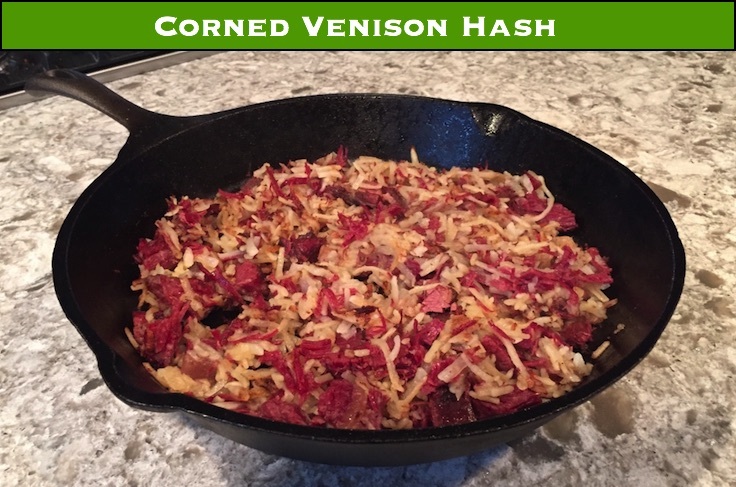 I’ve tried making hash from some of my over-done corned venison attempts. 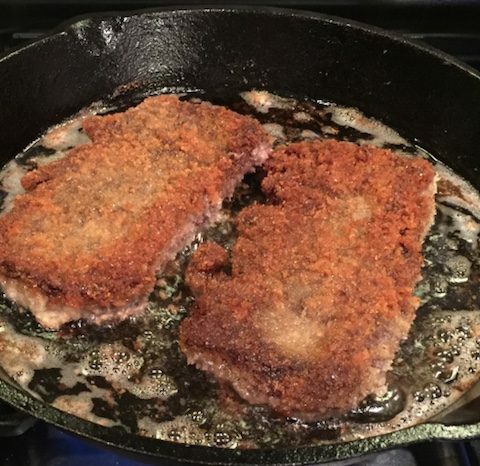 The thought being: hey, I removed too much fat and moisture, frying the hell out of it in butter and oil will fix that, right? The result literally tasted like canned dog food. Don’t ask how I know what canned dog food tastes like, just know that I take a keen interest in what my dog eats. The point is, when certain foods are cooked wrong, you have to get resourceful to save them. I thought butter made everything better, but the hash couldn’t fix my mistake this time. My father-in-law was polite enough. “umm, yeah this tastes ok”. Luckily we only made enough for two small servings. The rest of the corned venison ended up in sandwich form, with lots of mustard and mayo. Is there anything a sandwich can’t fix? 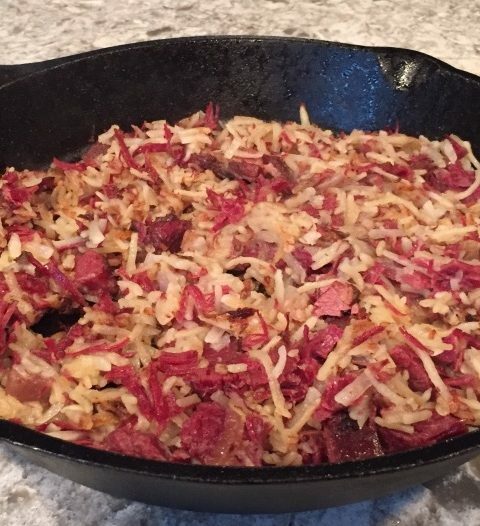 So, here’s an easy recipe for your perfectly cooked left over venison corned beef. Rehydrate the potatoes: place in a bowl and cover with boiling/near boiling water. Let them sit for about 30 minutes, and then drain. Or follow the directions on the box if different. 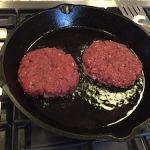 In a cast iron skillet, heat the oil over medium high heat. The pan is hot enough when you drop a potato in and it sizzles nicely. Sauté the onion till it turns translucent. Add the potatoes, and fry till they start browning up, flipping/stirring every minute or so. Add the corned venison and butter. Sear everything till it’s nice and crispy. Serve with eggs of course – toast optional.